(Sturgis, South Dakota) - Daredevil “Mad Mike” Hughes will attempt a world record in support of the Sturgis Buffalo Chip’s® 2013 daredevil extravaganza during the Sturgis motorcycle rally by jumping his outrageous steam powered rocket cycle as far and high as Evel Knievel once attempted over Snake River Canyon, Idaho. Hughes contends his rocket will hit 275 mph and propel him over 1000 feet high for a ¼ mile with no guidance system, clearing the distance that will be required to successfully accomplish Evel Knievel’s failed Snake River Canyon Jump. Hughes intends to make his Snake River Canyon attempt in 2014. Hughes’ world record 2013 Sturgis Buffalo Chip® hosted jump will take place Tuesday, August 6. Passes to witness this historical event and more information can be found at www.buffalochip.com. On September 8, 1974 world renowned daredevil, Evel Knievel, pushed the limits by attempting a record breaking jump over the Snake River Canyon. However, as the skycycle he was riding cleared the edge of the canyon his parachute deployed prematurely resulting in Knievel’s first of two serious crashes during the Wide World of Sports series. Luckily Knievel and his skycycle landed on rocks instead of the raging river below which likely saved his life. Almost 40 years later, “Mad Mike” Hughes follows Knievel’s footsteps, attempting the dangerous and potentially deadly jump that failed so many years ago. Mike Hughes, a former limo driver and NASCAR crew chief, has built a steam rocket that measures 15 feet 6 inches long and weighs 900 pounds. The never before tested steam powered rocket cycle will provide 4,000 pounds of thrust to launch Hughes off a ramp and into the Guinness Book of World records. The attempt, to be hosted by the Sturgis Buffalo Chip, will be filmed for national television. The Mike Hughes one time only Pre-Canyon jump will be held Tuesday August 6 during the Sturgis motorcycle rally. For more information on this and other world breaking events taking place, or to submit a stunt of your own visit www.buffalochip.com. Spectators can purchase tickets in advance or at the gate. The Sturgis rally’s cornerstone event, known as the Largest Music Festival in Motorcycling™ and the Best Party Anywhere™, the Sturgis Buffalo Chip®, celebrates its 32nd consecutive annual concert series at this famed 580 acre, scenic, creek fed camping resort three miles east of Sturgis, SD. 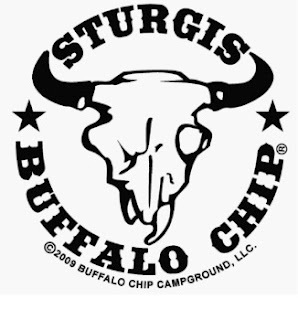 Since 1981, the Sturgis Buffalo Chip® has annually provided unforgettable live music experiences and exciting activities for fans from around the world with 9 days of concerts free with camping, including over 35 bands and nonstop entertainment. Campground passes grant access to music industry's hottest stars and emerging talent, 25 bars, the Bikini Beach swim area with its tiki bars and lounging decks, a diverse selection of food and beverage vendors and interactive exhibits. The Sturgis Buffalo Chip offers clean, well maintained facilities, private showers, cabins, RV's, paved roads throughout and more. Entertaining events, including bikini contests, daredevil stunts and many spectacles unique to the Chip occur every day. The Buffalo Chip is a festival experience like no other. More details are available at www.BuffaloChip.com.